Although I’m quite new to this blogging lark (and hopefully you haven’t got fed up with me yet), I thought it would be a real treat for you to get a completely new perspective on writing. 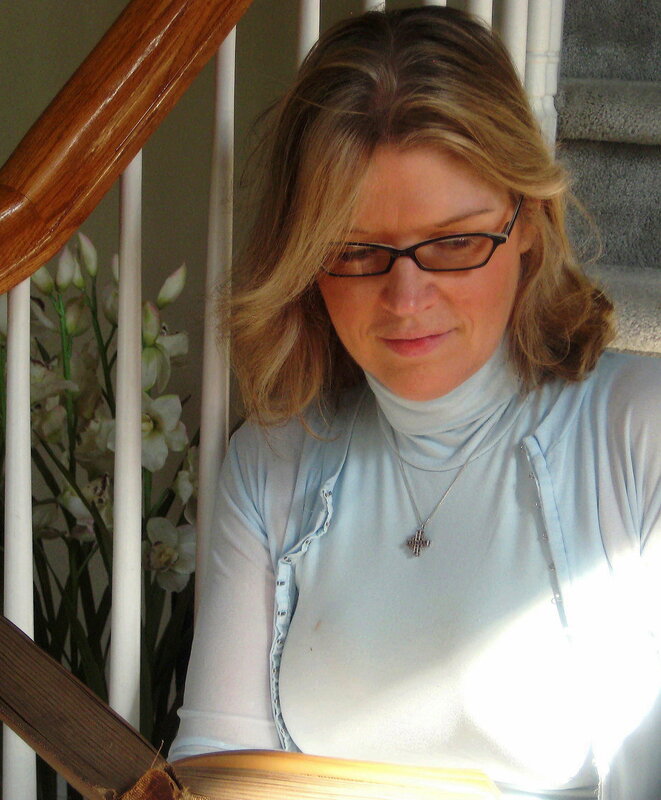 Enter my good friend and fellow author, Alison De Luca. 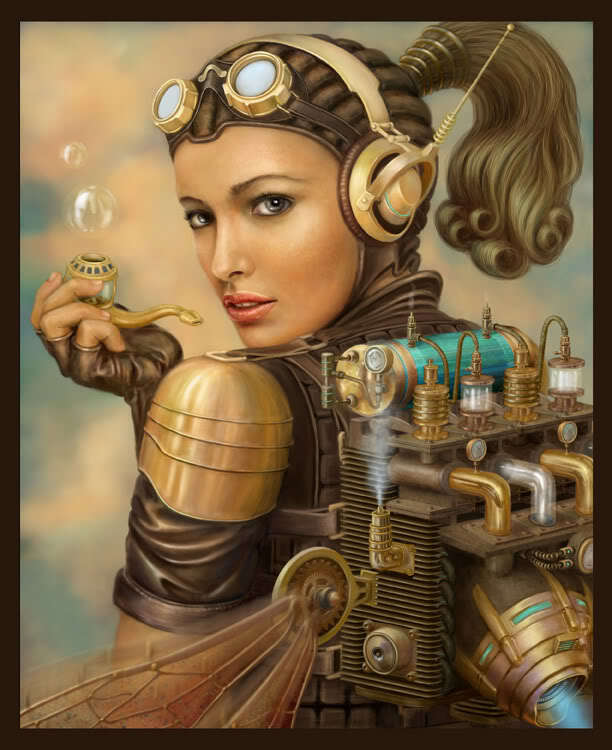 Alison shares explanations on the sub-genres of Steampunk, Dieselpunk plus a few others and her excellent and practical tips can be adopted by anyone wanting to write in this new and exciting arena. Enjoy! If there are airships overhead, automotons in the street, Queen Victoria on the throne, or sheriffs chasing down a Difference Engine, then you know you’re in the realm of Steampunk Literature. As this subgenre becomes more important and more mainstream, especially with the recent release of Scorsese’s Hugo, writers and agents turn their fancies to all things that wind up like clockworks with gears and cogs. I always enjoy writing steampunk stories. I have two under my belt, and there are two more that I have planned in a series that uses an antique typewriter as a quantum computer. I’d like to offer a few writing tips here for anyone who plans to enter the steampunk world. 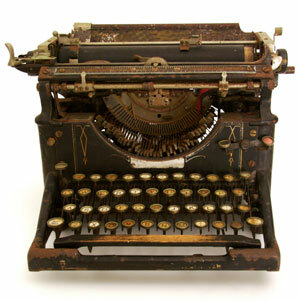 Antique typrewriter - or is it? 1. Do your research. Recently Steampunk has taken a much more ethnic approach, with books set in Boxer Rebellion era China, for example. And thank goodness; the addition of international and multiracial sensibilities is a fresh breath of air to a lit form that could otherwise grow dusty and stale. If you want to set your story in another country, make certain you’re familiar with the language, the food, the slang, the geography, the houses… you get the idea. Ditto with the Victorian or Edwardian Era. My setting is the latter; one invaluable resource has been http://edwardianpromenade.com/. Evangeline, the author of the site, offers period menus, house plans, hairdos, clothes, and recipes, which I slurp up voraciously. 2. Personally, I prefer some logic to my technology. 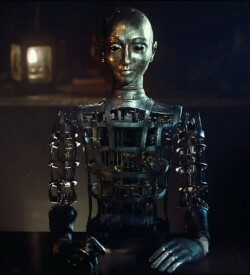 Of course as a Steamer you’ll be asking your audience to accept some fantastical ideas, such as automotons that can draw, or typewriters that can move time and space. It’s nice if you can include some sort of science to back up the tech. Airships, for example, cannot carry entire armies and their battle gear. 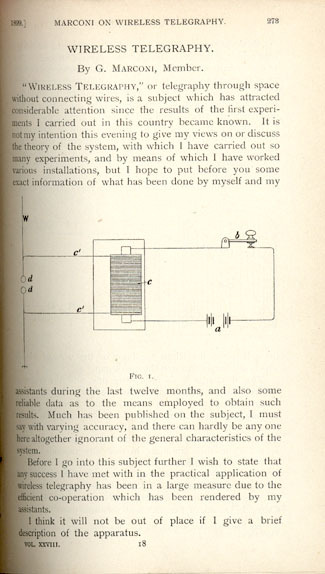 If you want to include dirigibles, research them and discover their limitations. I don’t use them myself, but I can see how they can make transportation more workable in an international plot. So if you want to use them in your story, make sure you understand how they work. Above all, your story should be well written and based on steam tech, not a quickly written manuscript with some airships thrown in so you can claim Steaminess. 3. Push the envelope. Besides steampunk , there is now Diesel Punk (gas powered tech) and Sandal Punk (ancient technology) which I find very interesting, considering items like the Babylon batteries, clay pots that actually generate an electric charge. They might be spurious archeology, but they make me think of possibilities, which is a wonderful thing. Anyone wanting to create sandal punk has a rather limited technology to work with, but sometimes challenges create wonderful stories. I recently finished a Diesel Punk book for NaNoWriMo, set during WWII. I had to do a lot of research, especially on power sources and period details. What luck that my father in law had an engineering book from his stint in the army! Information that we come across like that is like pure gold to us steam / diesel / sandal punkers. Recently I saw a book written in “ReeferPunk” style. And yes, it’s just what you think. I’m intrigued, I’ll admit, although I don’t think I’ll go to that length. I love the technical possibilities, but above all I love the human element involved. And that is my final, most important tip: don’t forget your characters. 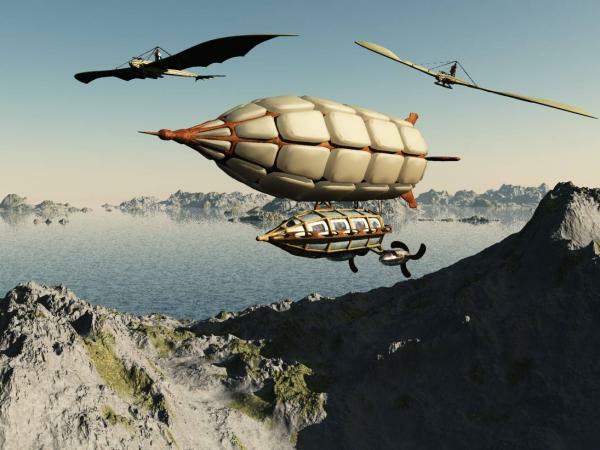 They, more than anything, will be needed to drive that airship to those fantastic new lands. Thank you, Alison, for a fascinating article! Definitely something to ponder over if you are , or thinking of writing in this sub-genre. Have you got any tips to share on writing Steampunk? How will you use these fantastic tips to improve your writing? 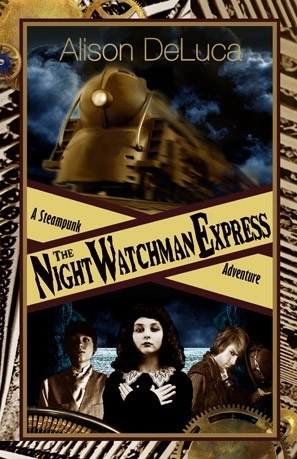 Alison DeLuca is the author of The Night Watchman Express and Devil’s Kitchen, both steampunk fantasies for young adults. She was born in Arizona and has also lived in Pennsylvania, Illinois, Mexico, Ireland, and Spain. As a teacher she taught every grade level in every kind of school district possible. She currently lives in New Jersey with her husband and daughter. This is the cover/banner to Alison’s first two fantastic books. The reviews are amazing and I feel incredibly honoured to have her as a friend and as my first guest blogger. “…this is the type of story that will appeal to readers who enjoy immersing themselves in a fictional world. The pacing is slow, but the characters are bold. They almost seem to jump off the page and grasp you by the wrist so that you may live their lives alongside them…. This entry was posted in Writing Tips by Carlie M A Cullen. Bookmark the permalink.